NEW YORK, NY – Jan. 28, 2019 – Women in Toys, Licensing and Entertainment (WIT) will hold its 15th annual Wonder Women Awards Gala on Saturday, February 17th in conjunction with the 2019 New York International Toy Fair. This year’s honorees have contributed to the toy industry in monumental ways and will be celebrated at Pier Sixty at Chelsea Piers. With the rise of technology overpowering old school play, today’s “Wonder Women” must be more innovative than ever. Most notably, Letitia Fox has been a Trailblazer in her efforts to create tech-free fun for today’s on-on-the-go parents. “Receiving this nomination truly confirms that anything is possible. As a mother of two kids, I saw the need for a tech-free experience that would inspire children to embrace their imaginations,” said Fox. The Playdate in a Box collection encourages active play, creative thinking and heightened social skills. Inside each set, kids will discover costumes, crafts, and other gear that promote pretend play. So too, Letitia’s entrepreneurial spirit is much like the creativity of her unique line of playdate boxes, including various themes such as the “Super Power” and “Pirate Adventure.” Letitia’s nomination as a Wonder Woman Creator/Inventor is just the start of her exciting mark in the toy industry. 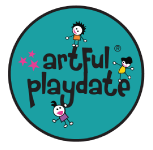 Fox is most excited about bringing the Playdate in a Box collection to families nationwide and enhancing their daily lives. Her partnership with Goliath aligns with her mission to bring people together and encourage today’s youth to explore the world around them. “I am thrilled to have Goliath Games as a licensing partner so the boxes can reach more children around the world and make a difference in their lives by bringing old school play back,” said Fox.